The Secretary of Communication and Transportation, on their website, has a useful tool for calculating costs on Mexico toll roads. Input your origin and destination and the application will map your route and give estimated driving time and toll costs. It even lists toll locations, so you can start preparing your ‘cuata’ in advance. 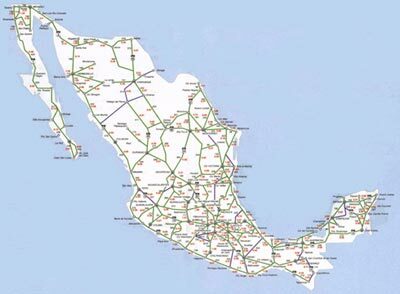 According to the site, the tolls from Guaymas to Guadalajara costs 1,169 pesos for a car. The distance is 1,264.88kms and it takes approximately 12 hours and fifteen minutes to drive. As of June 2018, the 3 tolls from the Arizona border to Guaymas cost 61, 27 and 79 pesos for a total of 167 pesos. 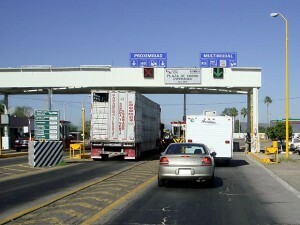 You can travel from one end of the country to the other on Mexico toll roads. For the most part, they are modern, well maintained and offer emergency service through the Green Angels. You can call the Green Angels for assistance by dialling 078. You need to pay a fee (called a “cuota”). The fee can only be paid in Mexican pesos, so come prepared (US dollars and credit cards are not accepted). There are bathrooms and snack shops at most toll booths.